I spent this week at the premier labour law conference in the world organized by the Labour Law Research Network (LLRN), and this year the conference was held in my home town Toronto at the University of Toronto Faculty of Law after previous conferences in Amsterdam and Barcelona. Professors Brian Langille (U of T), Kerry Rittich (U of T), John Howe (Melbourne), and Guy Davidov (Hebrew University of Jerusalem) among many others organized a fantastic conference. Every session I attended over two full days was interesting. I chaired two panels: (1) one looking at law and labour through the lens of global supply chains and franchising (my paper examined an ongoing class action lawsuit filed by survivors of the Rana Plaza collapse against Loblaws and Joe Fresh); and (2) another exploring leading edge research by labour law professors into climate, environment, and labour markets (my paper on Just Transitions Law is available here). I look forward to the next LLRN conference two years from now–destination still unknown. 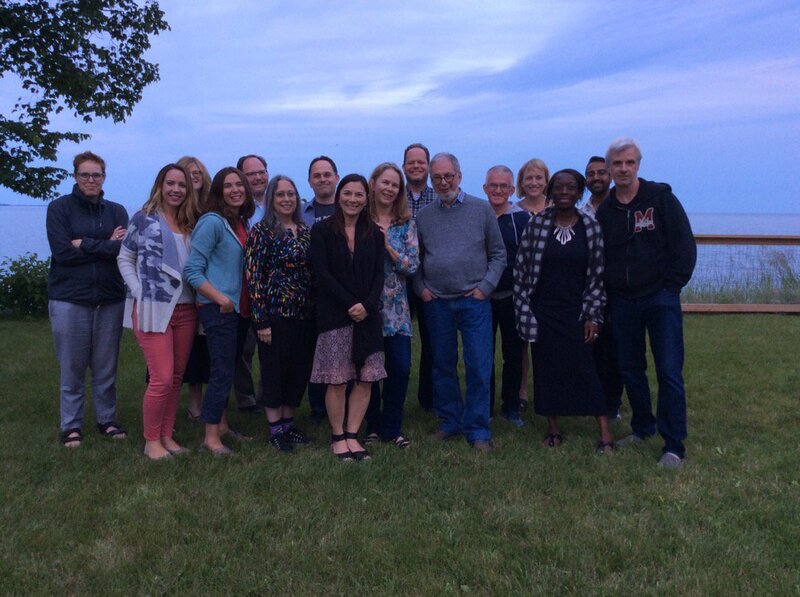 I was thrilled to host some of my labour law friends at my little cottage in Prince Edward County after the conference.